Etretat is a peaceful seaside resort in Normandy, France. Until the day Gilbert Maréchal, a local bigwig with a good reputation, falls from one of its famous cliffs. The police find a farewell note on him which points to suicide. The picture-postcard image of Etretat is stained red with this bloody case of murder. A game of Cluedo begins to find the killer. The clues build up, tie up and clash with family secrets, until the surprising whodunit finale. 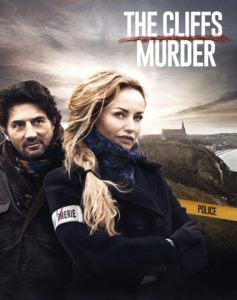 A police thriller blending family dramas and hidden passions, brought remarkably to the screen by the duo of investigators played by Bruno Madinier (star of the series Dolmen with up to 12 million viewers on TF1) and Adriana Karembeu (Czech supermodel). A fall from the cliffs, a murder to solve!